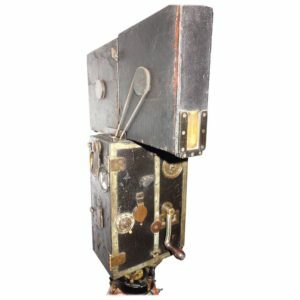 Submitted for your approval, a wonderful, Circa 1923 French Made camera that offered seven (sept is French for seven) ways to make pictures: still camera, sequential camera, cinema camera, still projector, cine projector, enlarger and cine transfer machine. 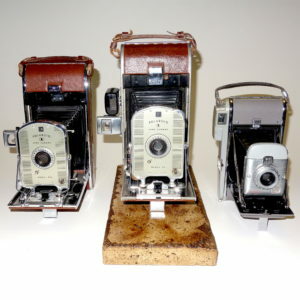 Complete with an early Roussel Lens and spare film canisters with wonderful patina. Excellent original finish. 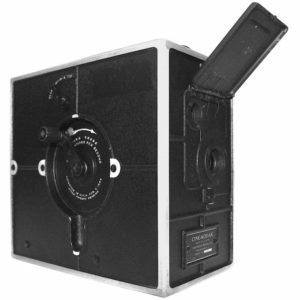 Not tested for correct operation and sold as a very complete display artifact. 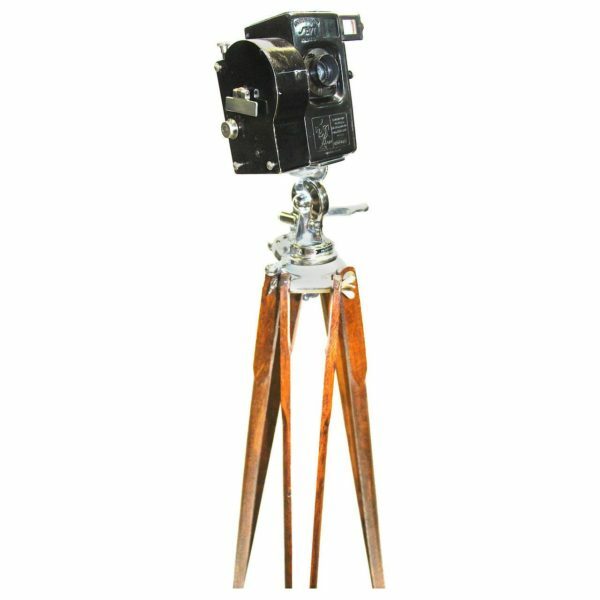 The included tripod has a rare, circa 1948 PanoGear hand crank tripod head that is beautifully chrome plated and working correctly and a Circa early 20th Century set of wooden tripod legs also in excellent and correct condition. 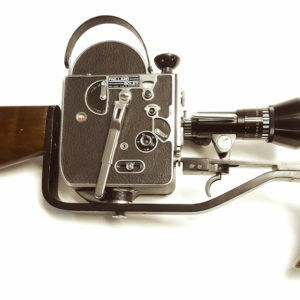 This rare camera and tripod will look outstanding in any residence or industrial setting. Other tripods that are more date correct to the camera are available at extra cost. Please inquire.